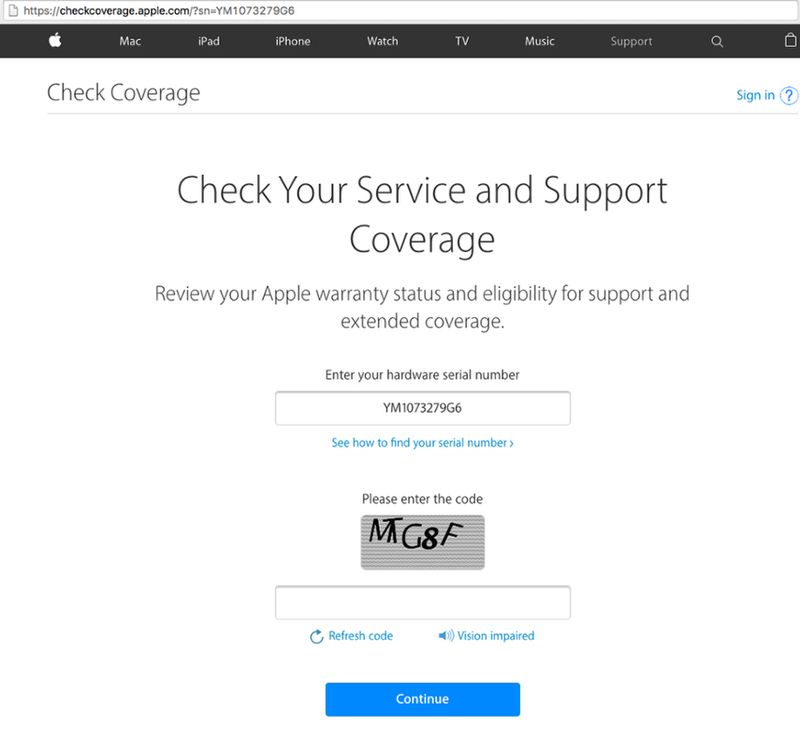 AppleCare's API for checking warranty status requires valid a valid, signed SSL certificate from GSX (Global Service Exchange) credentials, and is only available to authorized Apple Service Providers or Self Service Providers (ASP or SSP). ASP and SSP are invited to use our Warranty Updater tool, which relies our our API to populate up-to-date warranty status in the Watchman Monitoring Dashboard. As a service to our subscribers without GSX, we allow the manual creation of Expiration records for warranty, and and provide links to look up current data as well. These links are included in emails about any monitored Macintosh computer, as well as in the dashboard itself. Clicking the link next to the serial number will open a new browser tab with an auto-populated URL. Subscribers with GSX Access can learn about our automated lookups.